Here are some amazing Cassini images. There are some pictures of the spacecraft, and some pictures taken by the spacecraft. Here’s a picture of the launch of Cassini and Huygens atop a Titan IV rocket. This was the beginning of a 7-year journey to travel from Earth all the way to Saturn, with a few detours along the way. This is an artist’s impression of Cassini flying past Saturn’s moon Enceladus. 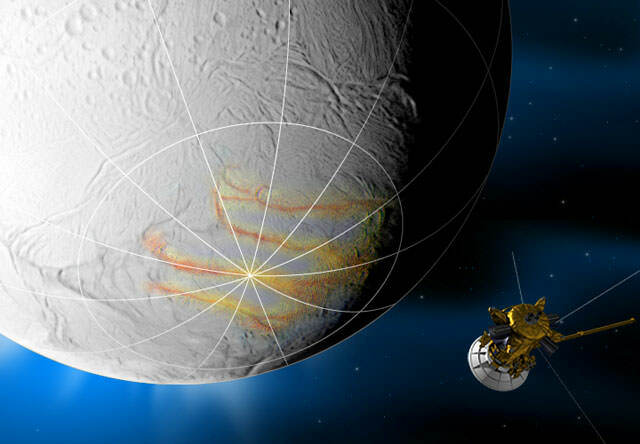 Cassini discovered strange geysers on Enceladus, blasting water ice into space. These geysers are coming from cracks at Saturn’s south pole, and scientists think it could mean there’s an ocean of liquid water underneath the ice. 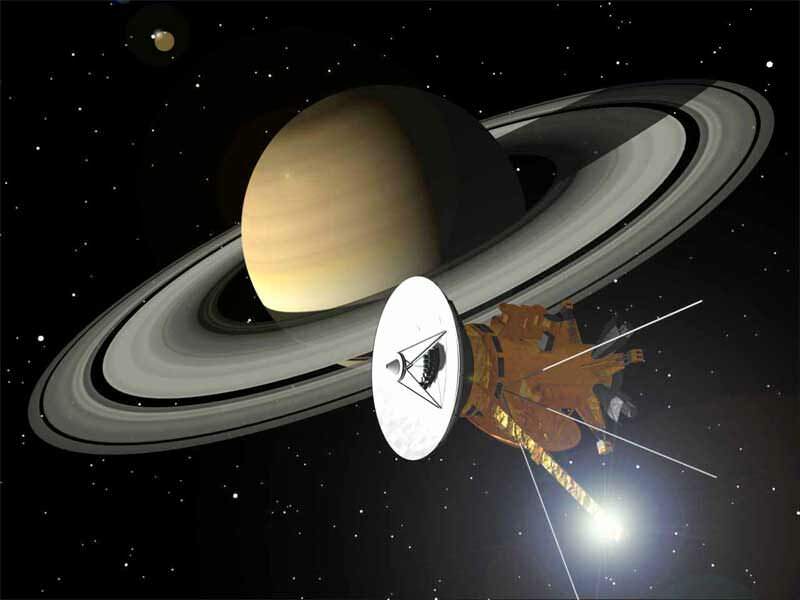 This is an artist’s impression of Cassini approaching Saturn. It arrived at Saturn in 2004, beginning many years of incredible research about the ringed planets and its intriguing moons. Here’s another view of Saturn’s moon Enceladus, with Saturn itself as a backdrop. You can see Saturn’s rings at the bottom of the image, cutting a line across the photo. You’re looking at a photo of Saturn’s moon Rhea passing in front of Saturn. Both Rhea and Saturn are cloaked in shadow. We’ve written many articles about Cassini for Universe Today. Here’s an article about the sunlight glinting off a lake on Titan, and here are some amazing pictures of Saturn during its equinox. 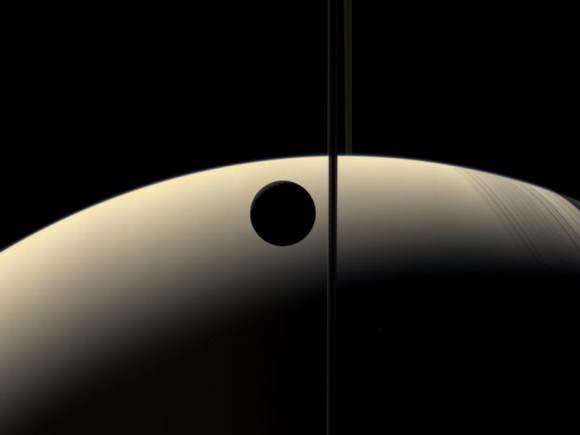 If you’d like more Cassini images, check out Hubblesite’s News Releases about Saturn. And here’s a link to the homepage of NASA’s Cassini spacecraft, which is orbiting Saturn. Next PostNext Mars Rover? Nah… Southern Spirit!